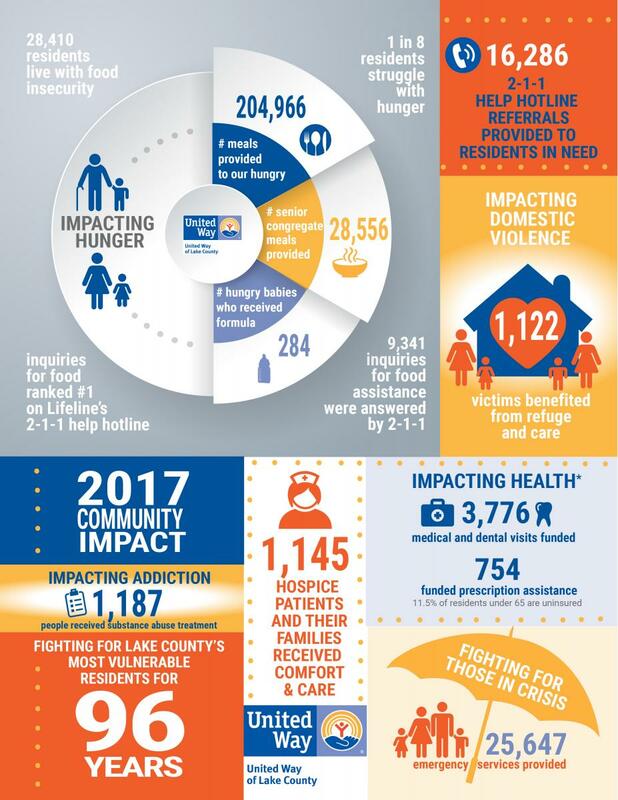 United Way of Lake County is the best way to help the most people. 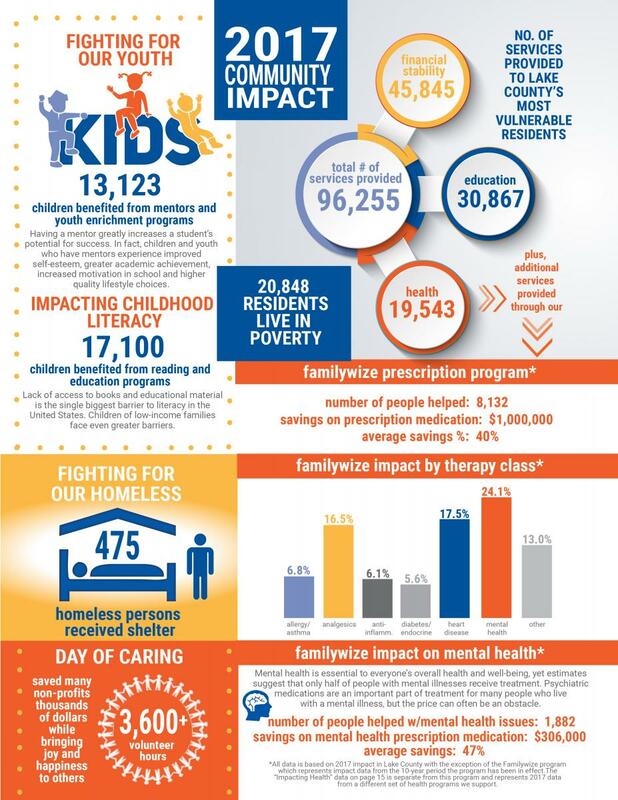 Below is a look at the impact your support made on Lake County's most vulnerable residents last year. To print or save a copy of either of the two flyers below to your desktop, simply click on the flyers.